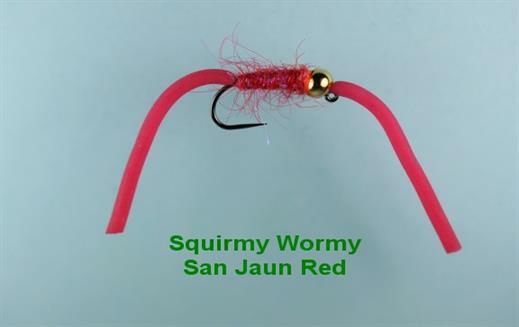 Our Squirmy Wormy San Jaun Red is a fish catcher, be it in a river of in your local trout fishery. We have used a Partridge Patriot Ideal Jig Barbless hook which gives this pattern great strength and hooking ability. Enjoy your sport as there will be plenty. Currently there are no comments about the Squirmy Wormy San Jaun Red fly pattern from other fly fishermen yet.